Interpretations and the SEM Ensemble celebrate the 50th anniversary of the founding in Chicago of the legendary Association for the Advancement of Creative Musicians (AACM), with a series of concerts presenting AACM composers and improvisers. Each evening will feature works by many of the AACM’s most renown figures, including Muhal Richard Abrams, Thurman Barker, Leroy Jenkins, George Lewis, Roscoe Mitchell, Amina Claudine Myers, Wadada Leo Smith, and Henry Threadgill. Events are co-sponsored by Interpretations, SEM Ensemble, Roulette Intermedia, the Czech Center New York at Bohemian National Hall and Ostrava Center for New Music. New music from two important figures of the Association for the Advancement of Creative Musicians. Pianist and composer Amina Claudine Myers brings her trio with Jerome Harris (bass guitar) and Reggie Nicholson (drums). Composer and percussionist Thurman Barker presents the premiere of ‘South Side Suite’, and other works. Featuring his Strike Force Plus, with Malik Washington (timpani, percussion) Bryan Carrott (vibes, percussion), Eli Fountain (marimba, percussion), Ray Mantilla (percussion), Lonnie Gasperini (hammond organ) and Thurman Barker (drumset and percussion). Baritone Thomas Buckner celebrates 50 years of the Association For the Advancement of Creative Musicians with an evening of works written for him by AACM composers. Accompanied by pianists Joseph Kubera and Amina Claudine Myers, violist Stephanie Griffin, cellist Christopher Hoffman, flutist JD Parran, and percussionists Matthew Gold and Alex Lipowski, Buckner performs concert works by Muhal Richard Abrams, Leroy Jenkins, Roscoe Mitchell, Amina Claudine Myers, Wadada Leo Smith, and Henry Threadgill. Petr Kotik leads the SEM Ensemble and members of the Ostravska Banda (Czech Republic) in works for chamber ensemble by noted composers of the Association for the Advancement of Creative Musicians on the occasion of their 50th Anniversary. Works by AACM members George E. Lewis, Roscoe Mitchell (with Thomas Buckner, baritone), and Henry Threadgill are featured alongside works by John Cage, Petr Kotik, and Christian Wolff. 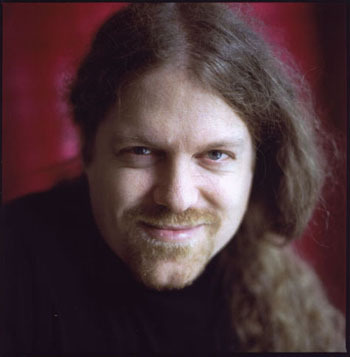 Petr Kotik leads the Orchestra of the SEM Ensemble and members of the Ostravska Banda (Czech Republic) in orchestral works by George E. Lewis, Roscoe Mitchell (with baritone Thomas Buckner), Wadada Leo Smith, and AACM founder Muhal Richard Abrams. The evening also includes a rare New York appearance by The Trio, the distinguished improvising trio of Muhal Richard Abrams, George Lewis, and Roscoe Mitchell. All concerts start at 8PM. 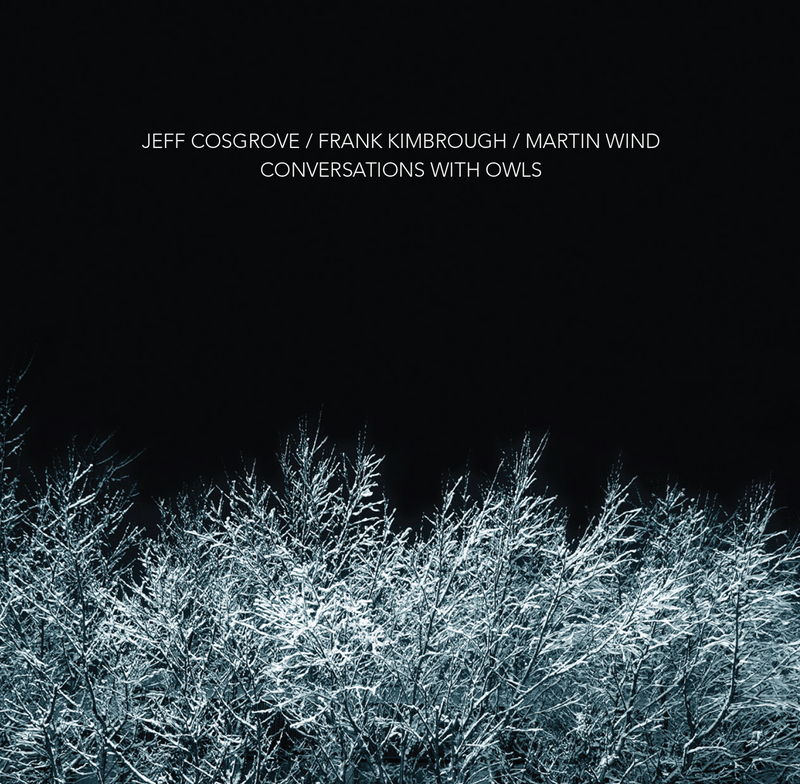 Drummer Jeff Cosgrove, fresh off of his recent collaboration, Alternating Current, with William Parker and Matthew Shipp, has his next offering, Conversations with Owls, lined up for release next month. This recording features Cosgrove on drums, Frank Kimbrough on piano, and Martin Wind on bass. At the outset, I’ll have to admit that, despite his work with Parker and Shipp, Cosgrove is not a free-jazz or avant-garde player. Instead, he finds his own voice within the tradition – two standards make up the seven tracks on Conversations with Owls. Yet, this trio, which has been playing together for several years, does not approach the mainstream either. Case in point, Kimbrough’s piano is often used to create tension rather than a melody per se. This is evident on the first half of Forest Hunters, a disjointed improvisation featuring bowed bass as well. In a similar sense, Stacks of Stars opens with a repetitive bass theme, but then a cascading piano structure sets the tone for much of the track. Excitable Voices provides a drum workout, with trio interplay sandwiched between. While capable of tight group work, Cosgrove, Kimbrough, and Wind give themselves plenty of room to stretch out and solo as well. Despite this built-in space, and the proficiency of these three individuals, perhaps the best moments of this album are when they play together in a lyrical, delicate fashion. Look no further than the opening track, The Owls, for an illustration of these qualities. I, for one, am looking forward for more conversations from this trio, with nocturnal birds of prey or otherwise. “Firstly, the punishment is meted out day and night, kalpa after kalpa, without a moment’s interruption or relief. Thus Avici”. ‘Thus Avici’ is the second album from Tunnels Of Ah (Stephen Ah Burroughs / Head Of David ). The title references ‘the sutra of bodhisattva Ksitigarbha’s fundamental vows’, a section of which Burroughs reads daily in homage to Ksitigarbha whom Burroughs pledged ‘entreaty and supplication’ under solemn tantric oath 20 years ago. Tantric buddhism, christian mysticism and personal magick make up the subject matter for ‘Thus Avici’. Where traces of 2013’s ‘Lost Corridors’ album can be heard, ‘Thus Avici’ is a harder, more focused offering. Shards of distorted noise, ritual drums, caustic drones and haunted vocals make ‘Thus Avici’ a dark hallucinatory swoon into the hinterland of the Tunnels Of Ah. The dull blue light of brute-world calls.